Huacatay! You might have to order this ingredient online but it is worth it! Earthy black mint makes the perfect dipper for finger lickin lamb chops! Heat a saute pan over high heat. While it heats season lamb chops on both sides. Add a splash of oil to the pan. Sear lamb for 3 minutes on both sides and for 2 minutes on the fatty edge. Using a spoon, glaze the bones in the hot oil from the pan to cook any etxtra meat. 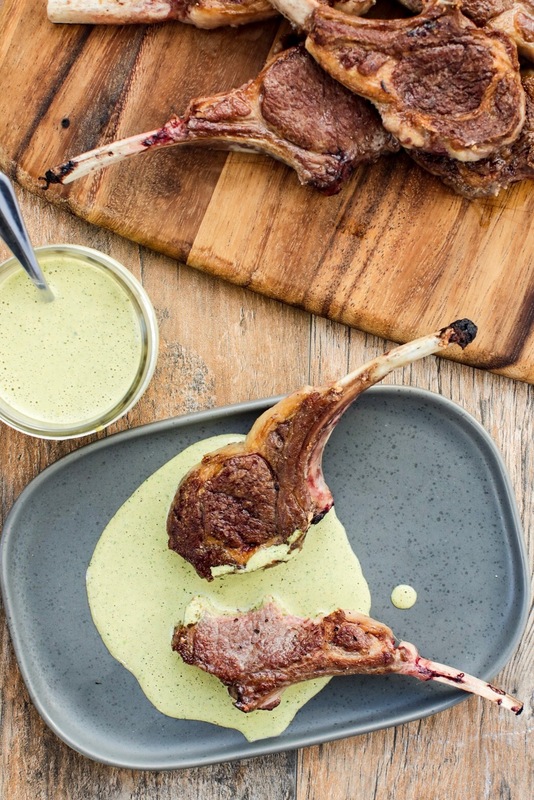 Allow lamb to rest for 5 minutes and then serve with huacatay sauce.